Shanti Generation kindly asked me to review their DVD Yoga Skills for Youth Peacemakers. My two girls are kindly reviewing the DVD also and are enjoying it! ‘Shanti’ is a Sanskrit word for ‘peace’, and in case you didn’t know, the meaning of yoga is ‘union’, so I think this company have created a great product which really does combine the ability to generate peace inside, and outside, for young people using the practice of yoga as the tool. The music is hip, relaxing but not dissonant to my ‘older generation’ ears, so your children using this DVD in your house will be a pleasant background experience, rather than a noisy one. If your children are new to the concept of yoga, have them watch the ‘Meet the Peacemakers’ Section under ‘Special Features’ from the Main Menu first. 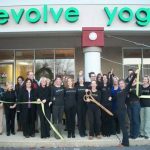 This is a great set of short interviews with the children who helped make the video and simply puts across messages to explain how yoga can be helpful to youth. Benefits listed range from helping focus with homework, relaxing after experiencing ‘cattiness’ at school, through to helping control breathing for a child with asthma. It’s great to see benefits voiced like this by youth, for youth, in an easy, fun, and approachable format. 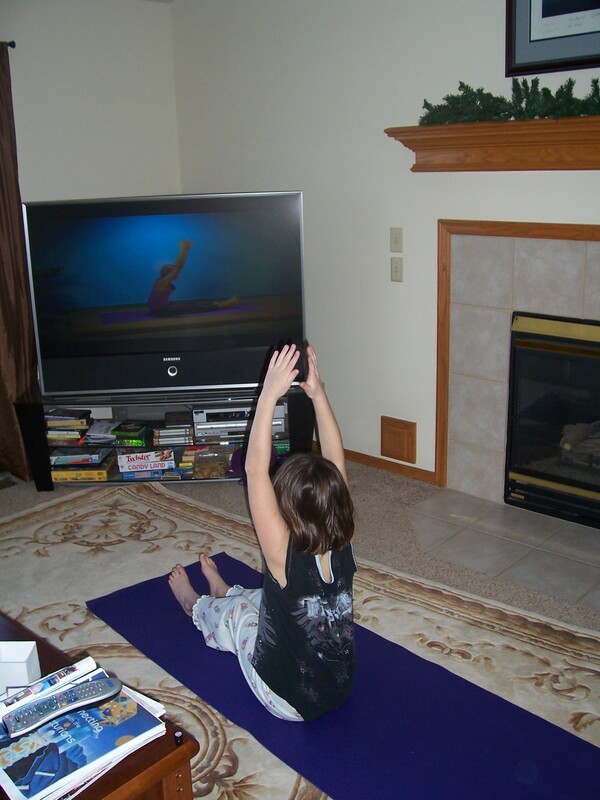 The main menu from the DVD offers the young yoga practitioner a number of routes. I initially chose ‘Library of Poses’ and then could select from pose sequences using three main attributes of ‘Focus’, ‘Energy’ and ‘Calm’ or other sequences such as ‘Quiet Strength’, ‘Balance Through Challenges’ and ‘Stable Roots’. I chose Calm, and even though I’ve been practicing yoga for a few years, I learnt a new ‘Shivasana’ type pose (relaxation pose) which I really liked. I had my two girls choose a sequence each from ‘Calm’. Callie chose ‘Choose Love Over Fear’ and Arianna chose ‘Let Go And Trust The Flow’. Both found the instructions and video very easy to follow. I particularly like the fact that creative visualization is included in the sequences. Callie noticed the use of language in her section “Breathe deeply, and think of something that you would love to do, and will be able to do even better as your body is becoming more flexible”. She mentioned afterwards that she was thinking about designing more comics, which she loves to do. Children are so open to positively framed language, especially when they are in an open, relaxed state. Arianna found her sequence easy to follow, didn’t comment about (in her nature!) but enjoyed herself and relaxed. She’s 7 and in first grade. I think younger children could still easily manage these sequences since you can choose short sequences and maybe even just one to start with. I must say, I like this DVD for my personal practice, too. If you’re new to yoga and your children are too, what better way to start the Christmas Season off actively practicing a little peace in your home? The results may surprise you! Using Yoga to help us be present and at peace - Mom On A Spiritual Journey's first guest post! Previous PostQuality personal development for a dollar? Next Post 12 days of Christmas Alternative Health Song – hope it helps!